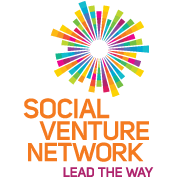 Join Social Venture Network for the 2015 SVN Spring Conference, April 16-19, in San Diego. The event is open to active members, affiliates, family members and first-time prospective members. Click here to register. As a lead-up to the conference, SVN is sharing best business practices from its members in a series of short video clips. Follow the series here. SVN members have launched some of the most innovative organizations in the mission-driven business community. They've experienced success, failure, setbacks, and breakthroughs... and are very candid about the lessons they learned the hard way. In this video, SVN member Vince Siciliano, CEO of New Resource Bank, talks about the role purpose and values have played in his career as an executive in the banking industry. For more business advice from SVN members, check out "The Best Advice I Never Got" here.